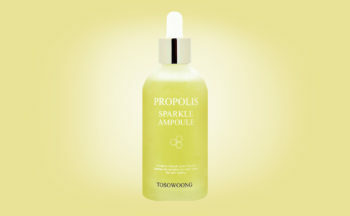 Tosowoong Propolis Sparkle Ampoule is a Korean ampoule / serum containing a full 80% propolis from bees. Tosowoong Propolis Sparkle Ampoule Serum is hydrating, moisturizing, nourishing and gives the skin a fresh glow. The serum also contains vitamins, honey, bergamot, lemon and lime which gives the skin new radiance and has a pore minimizing effect. Propolis is naturally anti-inflammatory and rich in minerals. Tosowoong Propolis Sparkle Ampoule Serum calms red irritated skin and inflamed skin. Tosowoong Propolis Sparkle Ampoule is free of parabens and the gentle formula is ideal for troubled skin, acne prone skin, sensitive skin and for calming redness. 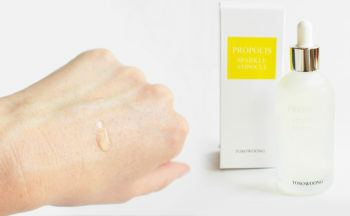 I like Tosowoong Propolis Sparkle Ampoule because it’s an incredibly uncomplicated and affordable Korean serum / ampoule of good quality that is suitable for all skin types really. The texture inside the bottle looks similar to a viscous gel. 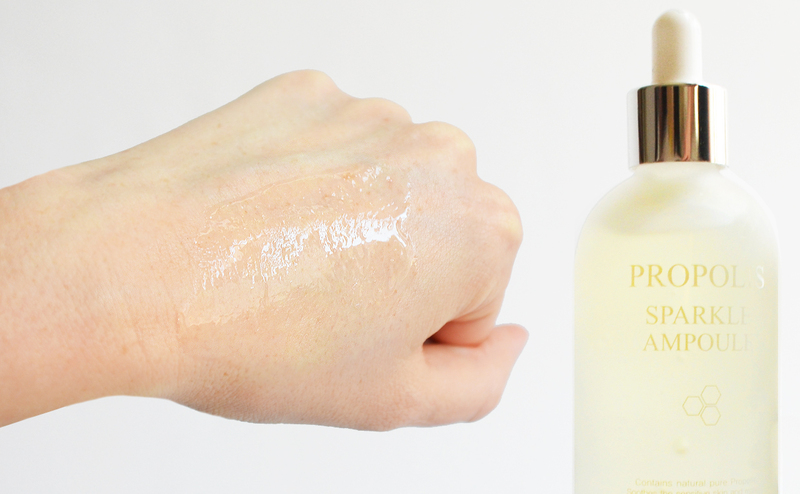 But on the skin, this serum “melts” to a lovely moist hydrating texture. Gentle pure formula. 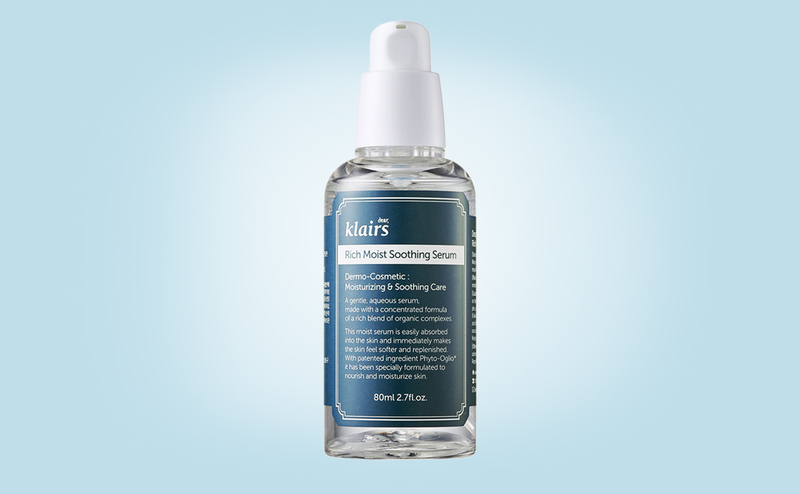 This serum doesn’t feel greasy or oily on the skin, but absorbs well. The scent is incredibly faint and mild from honey with a twist of lemon. The skin feels soft and slightly moisturized after application. 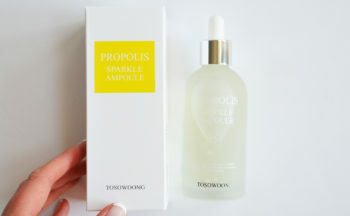 I love that the Tosowoong Propolis Sparkle Ampoule serum comes in a huge bottle of a full 100ml. I have nothing negative to say about this serum actually. 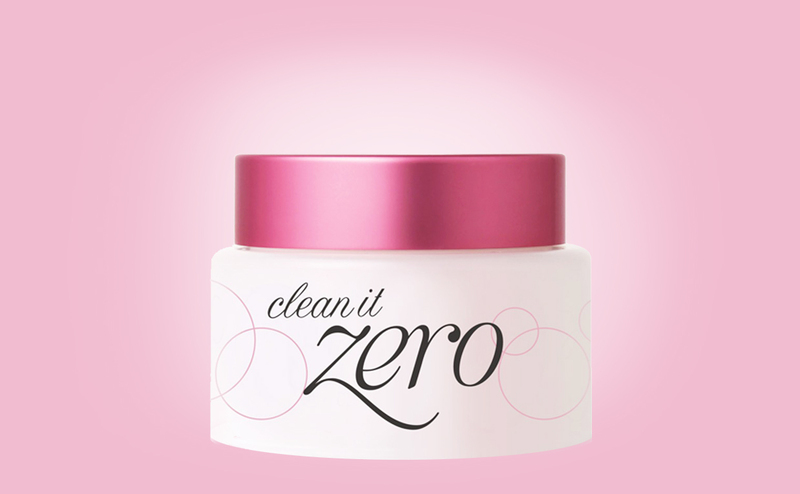 It simply fits any skin care routine regardless of age or skin type. 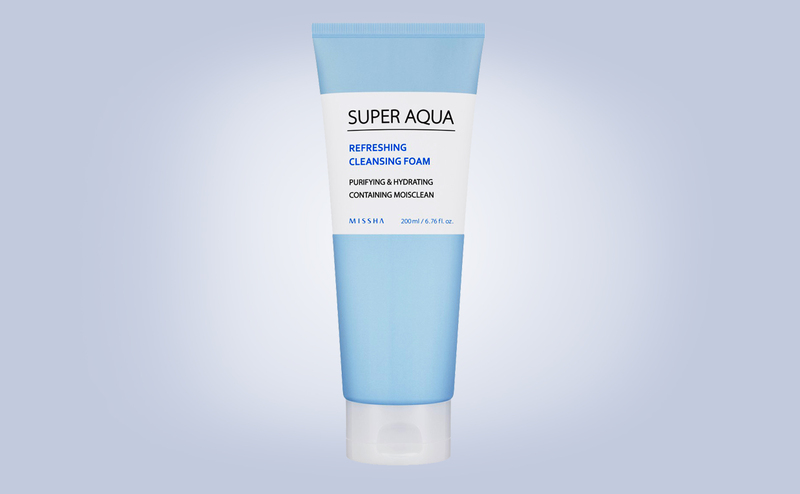 Whether you have oily, combination or dry skin, acne prone skin, troubled skin, sensitive skin, enlarged pores or red irritated skin. I Highly recommend this serum as it’s very cheap and affordable too. 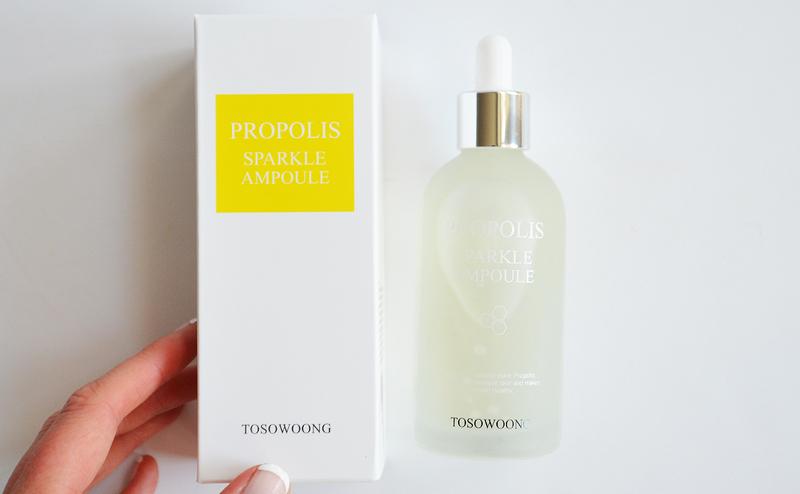 Read all my review of Tosowoong Propolis Sparkle Ampoule here. Best price with free shipping directly from South Korea available from bigclothcraft.